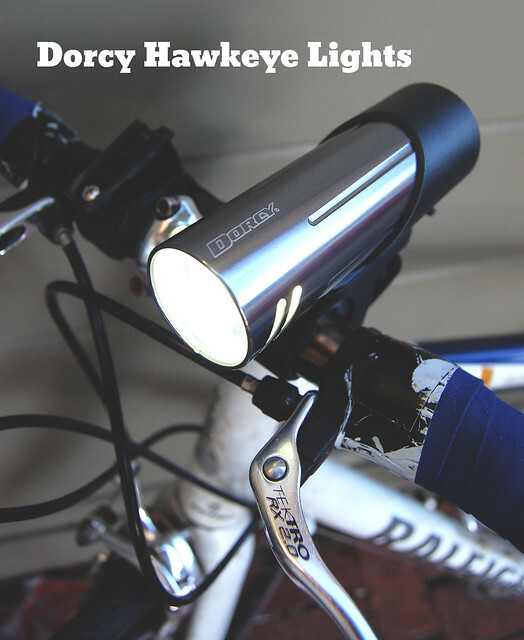 I’d be curious how the front light lines up against a Planet bike Blaze 2W – they’re roughly comparable in price, though the Hawkeye claims more lumens. 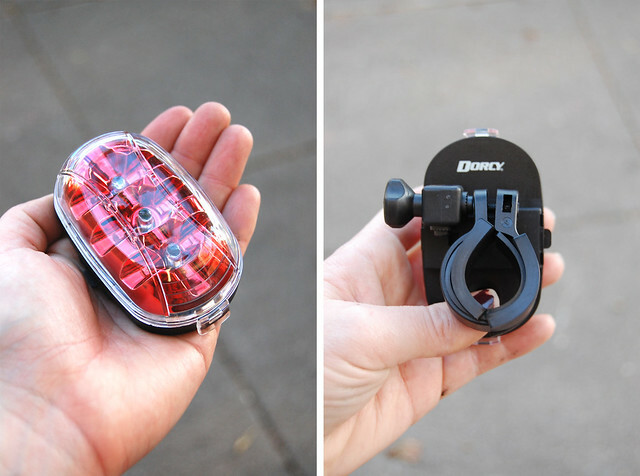 I’ve been pretty happy with a much-less-expensive headlight from DealExtreme – their “TrustFire 230 lumen 3-mode flashlight,” SKU# 36358, for $13.26 delivered. 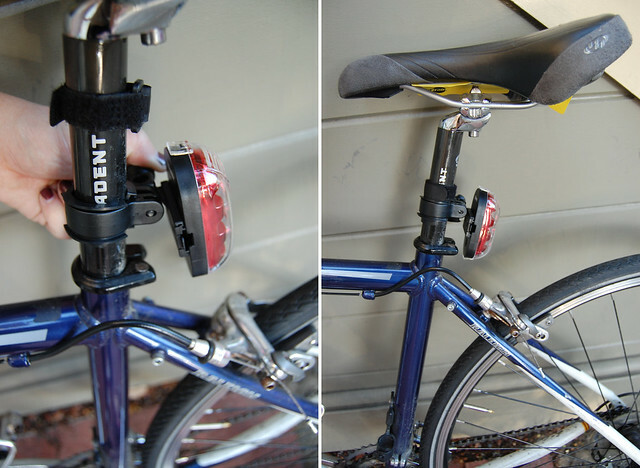 I clamp it to the bike with a rubber mount from the same supplier, #31871, for 2 bucks. 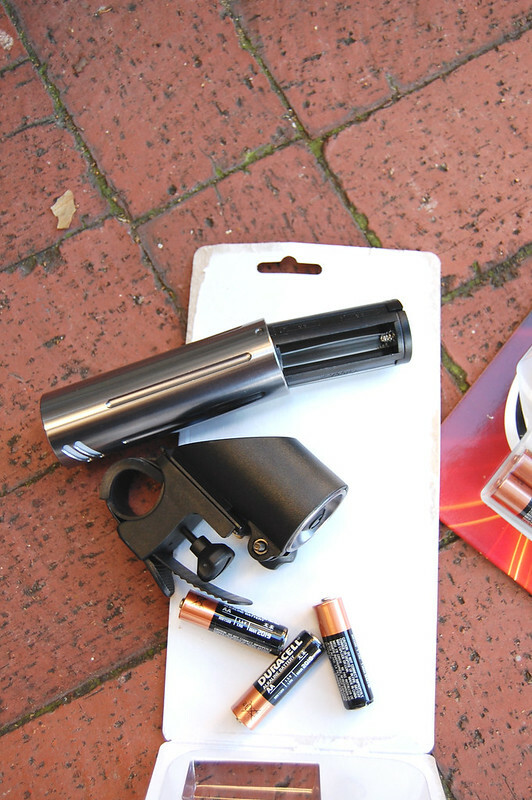 I use NiMH rechargeable batteries, and carry a spare in the boot, so I won’t end up in the darkness. I agree that the light is a bit pricy. I put together a flashlight, which came in a set of 3 from Costco for $20, It has 3 settings as well and with max lumen of 230. I built a clamp out of both the front and rear reflector holder. It works great but the batteries died after one winter. I don’t know if batteries were old. Anyway, I had another cheep led light that put in it’s place and it work OK but not as bright but I supplement with a head lamp and another small flasher I got for free. To be honest, my money’s still with the Cygolite Metro Series and Planet Bike’s Superflash taillights. I bought a Cygolite Metro 300 a year ago and it’s the best light I’ve ever used. 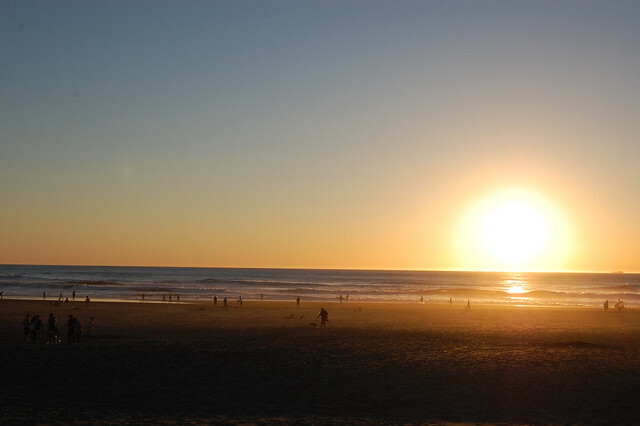 Even on the “medium” setting there’s plenty of light to see and be seen with. USB rechargeable, and works great as an EDC flashlight for when I’m not on the bike. As for my SuperFlash Stealth taillight, I’m pretty darn satisfied or at least I am until I can convince my better half that we NEED to move to the USB rechargeable version of that light too. 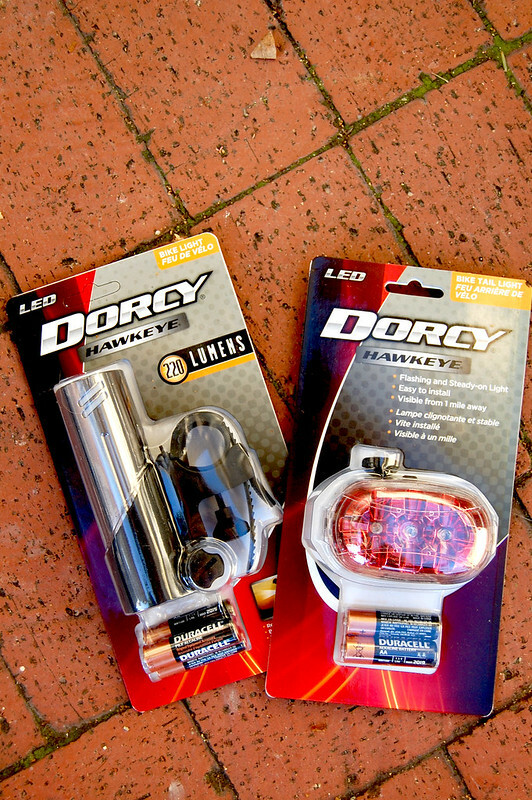 “After just a few months of purchasing my front bike light, it had begun to develop problems. It would often fade away suddenly on my way to and from work, and then needed to be smacked a few times to light up again. 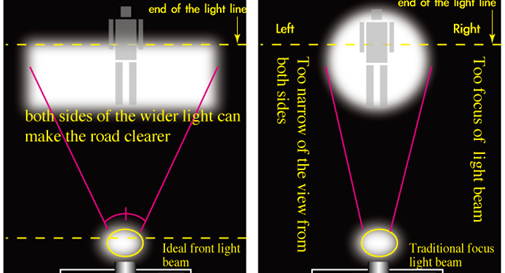 Since it had become an every-day phenomenon, I knew I badly needed a new light system. 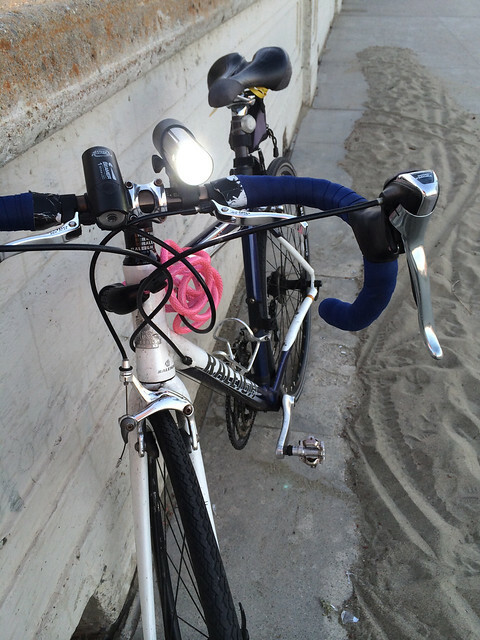 Luckily, I came across BikeLightsUK and was able to test out a couple of good options. I have been gladly using the Fluxient 3xU2 ever since; I’m getting an exceptional output of 3000 lumens and battery backup is simply matchless! The next time you decide to shill something Adam be sure it lives up to the hype. Your “3000 lumens” light was tested by MTBR and only put out 1612, which by the way is still overkill for most commuters. 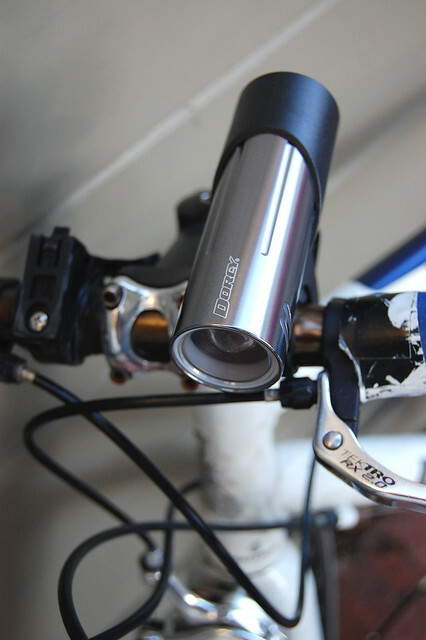 Commuters, whom I should add, can easily get 3 really good commuter level lights for the price of your MagicShine clone.